Free trusted resources for objective information on assistive technology and rehabilitation equipment from both domestic and international sources. Offering the most comprehensive listing of assistive technology products available, AbleData provides information n products, manufacturers, distributors, organizations, and research abstracts. The goal of Southeast Tennessee Area Agency on Aging and Disability is to advocate for and to strive to achieve a system of services that allows older persons and persons with disabilities the opportunity for an independent and productive lifespan. This is accomplished through three primary areas of emphasis: Advocacy, Service, and Planning. Helpline, Home Delivered Meals, Homemaker Services, CHOICES Program to prevent institutionalization. Serving BLEDSOE, BRADLEY, GRUNDY, HAMILTON, MARION, McMINN, MEIGS, POLK, RHEA, and SEQUATCHIE Counties. Services Provided: David L. McGuffey is in private practice with the Elder Law Practice of David L. McGuffey, LLC, located in Dalton, Georgia. David limits his practice to Elder Law. This means he helps individuals who are elders or who have special needs, as well as their caregivers. Much of David’s practice is devoted to helping individuals with chronic health conditions find, get and pay for good long-term care. – Medicaid Planning. Get assistance with Medicaid eligibility and with the Medicaid application process. – Family Wealth Planning. Family wealth planning doesn’t just happen. The Elder law Practice can help you put together an estate plan that protects your loved ones and those they care about. – Special needs protection. 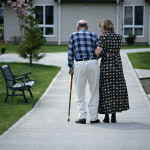 Protect disabled loved ones and get informed advice on these important estate planning issues. – Guardianships/Conservatorships. Getting court assistance in making decisions for and caring for loved ones who cannot care for themselves. – Wills. Prepare a Will or other document to outline your wishes regarding where your property goes after you pass away. – Trust preparation and administration. Create a Trust customized to address all of your family’s unique needs, take into account the Medicaid trust rules and receive guidance when a family member passes away. – Estate planning. Receive consultation and planning to ensure that your estate is distributed according to your wishes. – Asset protection. Receive guidance on protecting your legacy. – Retirement planning. Working in consultation with your financial advisor, we can help you ensure that your tax-deferred accounts are properly structured to give your family the greatest tax advantages possible. – Probate assistance. Get the assistance you need when someone with or without a will passes away. Provides funding for specific health/disability related needs, respite care, specialized programs or equipment. Also home and vehicle modifications. Child/Adult must be affected in 3 or more areas of activities of daily living. Be prepared to document all diagnoses and keep on top of the process in order to get this service. There are caps and limits not generally publicized. You can find them here. Medicalert: medical information database that provides first responders with the member’s health records. HDSVANS & Mobility – Handicapped Driver Services is a specialized team of adaptive equipment professionals. Our compassionate and committed workforce is dedicated to providing increased vehicular mobility and independence to individuals not fully served by the traditional automotive market. Our team provides innovative solutions and superior mobility products to assist each client in obtaining the highest quality of life possible. Orange Grove Center: 615 Derby Street, Chattanooga, TN 37404 Phone: 423-629-1451 Adult comprehensive training, children’s services, development office, employment supports, habilitation center, health care services, human resources, intermediate care residential, nutrition services, recycling center, residential services, outpatient speech, occupational, and physical therapy. Wills, Trusts, Elder Law, Conservatorships, Guardianships, Planned Giving, Asset Protection, Wealth Preservation, COBRA, Financial Planning and related Law Practice, Business, Tax, and Related Services. Preferred Care at Home: provides caregivers who are able to help with tasks such as meal preparation, transportation, and hygiene. The goal of Southeast Tennessee Area Agency on Aging and Disability is to advocate for and to strive to achieve a system of services that allows older persons and persons with disabilities the opportunity for an independent and productive lifespan. This is accomplished through three primary areas of emphasis: Advocacy, Service, and Planning. is a primary care medical clinic. It provides medical services to financially eligible individuals and families of Hamilton County who otherwise have no access to health care.